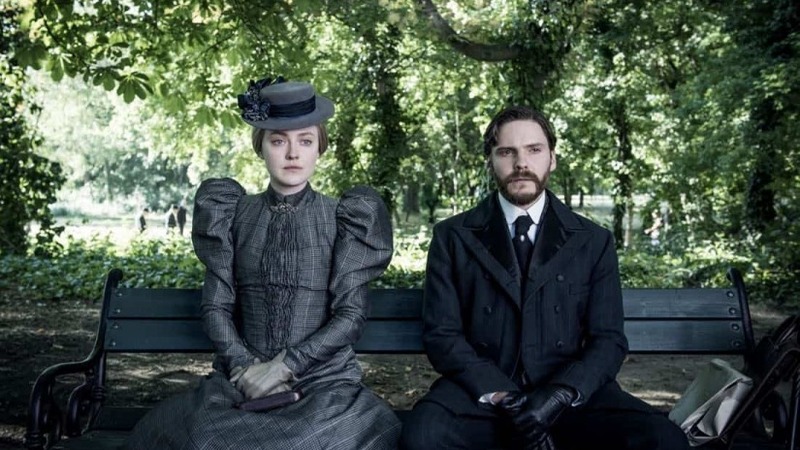 With gory imagery from the opening moments through the discovery of a bloody, severed hand in the street, The Alienist centres on Dr Laszlo Kreizler (Daniel Brühl), an “alienist” treating mental disorders and psychiatric problems in 19th Century New York City, as he also attempts to understand what drives a serial killer to mutilate the bodies of young boys. Dakota Fanning and Luke Evans also star as Sara and John, allies to Kreizler, and they assist with solving the cases of brutal murders. Mutilated bodies are discovered around the city in this ten-part period crime drama series, based on Caleb Carr’s novel of the same name, and the team follow various leads in hope of ending this murderous reign of terror. The crime thriller borrows from the horror genre in its display of the deceased children, with dismembered bodies and eyes having been gouged from their sockets. The overall darkness of the shots, as well as the brutal violence, add to the show’s depiction of extreme levels of poverty and its hidden, murderous dangers in order to heighten feelings of unease in its audience. While dark thematically, The Alienist also provides tales of progress in psychological theories and understandings of various forms of supposedly unnatural behaviour. Kreizler gives modern advice for the epoch in which he lives, with a more open-minded attitude towards the children who cross-dress than members of families and the police department. He believes that they should be accepted by society, and advises this to parents in his role as child “alienist” doctor. Kreizler’s contemporary approach is considered controversial and in opposition to the policing and attitudes towards criminal behaviour of the time. The investigation is cutting edge for the 1890s, with Kreizler’s attempt to understand what makes a man commit these mutilations and killings coming under severe scrutiny from the victims’ families, the police officers involved, the news reporters, and especially the angry mob that greets him outside the police precinct. Between the doctor’s theorising and Sara’s role as the first woman to work for the New York City Police Department, the series’ narrative shows how this was a pivotal moment in US history ahead of the 1900s. Sara’s independence and fearlessness in pursuit of the killer’s identity emphasises the evolving role of women and the importance of paving the way forward to create positive changes in the years to come. Though they face fierce adversity, Kreizler and Sara’s forms of assertiveness and gumption provide the show with a complex layer to add to its crime-horror narrative structure, and firmly place it in the context of the closing moments of the 1800s.